There has not been much change in the educational system of Ghana from the colonial times. The system is unsystematic and has to be re-structured soon, it depends solely on learning English language. The traditional educational system of the country ignored vocational training and education which should have been of utmost importance, as the livelihood of Ghanaian is specifically based on fishing. They were deprived of training and practical application of knowledge. After many years, little efforts have been put forward to bring improvements in the system. However, Vocational training in Ghana still receives little attention. 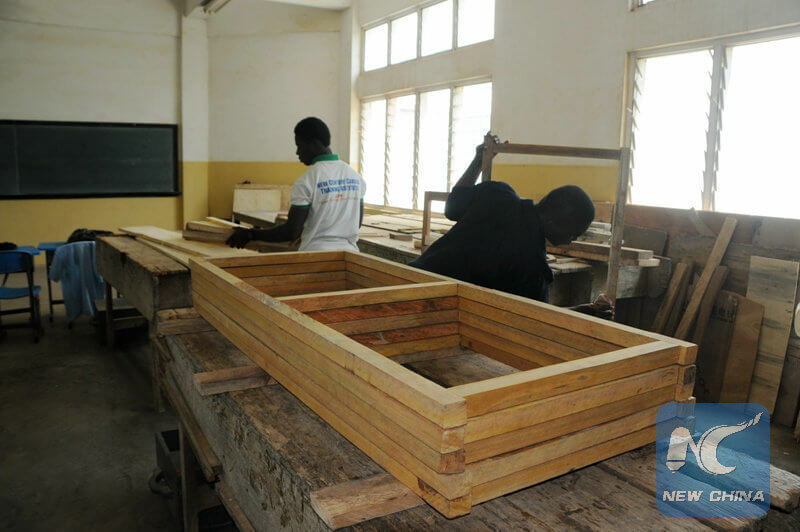 For uplifting vocational training, the Ministry of Education is taking several steps. It has established multiple agencies that work on implementation of educational policies. The ministry is supported by local authorities as well as the state government. For the development of vocational training and education, the government of Ghana created two institutions. In Ghana there are approx. 672 public high schools including vocational institutes and secondary schools, out which vocational institutes controlled by public sector constitute about 4.2%. The vocational schools in private sector equal to the number of schools in public sector and are expanding continuously. Churches contribute over an overwhelming 80% in vocational education. The courses of vocational training in Ghana are mostly handled by the institutes of polytechnic and certain universities. There are 10 polytechnic institutes in Ghana. 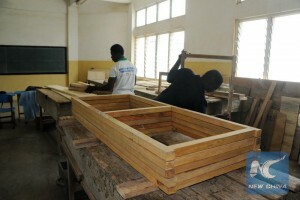 The Central government has prioritized development of vocational training in Ghana. This step is taken fore mostly to reduce poverty and eliminate unemployment in the country. Completion rate is very low with only 1.6% of students completing the course out of 11% taking part. Untrained Staff- the instructors in the institutes are not properly qualified and do not have enough knowledge to guide students. No scope for practical experience and absence of training of basic skills. In the year 2006, a council was created for TVET (Technical & Vocational Education and Training) for coordinating educational policies and eliminating all the hindrances in the development of vocational training in Ghana. The council organized a National... ...Youth Found for proposing a framework for vocational education in 2010. Basic level: The Basic Level of vocational education is provided in junior secondary school. Secondary level: The Secondary level of vocational education begins in secondary schools, technical institutes, and vocational training and education centres. Tertiary level:The Tertiary Level of vocational education is given in professional institutes like polytechnics and in universities at their highest levels. To establish apprenticeship, internship training, and programmes for training for engineering and office workers as well as provide training for instructors and officers for teaching. To present guidance and career growth in vocational industry. To improvestandards of training, and bring growth intrade testing and policies and programmes of certification. To start a regular study of the requirements of manpower of the country at the level of skilled workers. To build and continue technical and vocational relations with international establishments and foreign institutes involved in activities related with vocational training. A total of 160 vocational institutes are present in Ghana with 22 technical institutes working under GES, 19 under NVTI (National Vocational Training Institute) and the rest are managed by several organizations established by the government. In addition to the public institutions, there are over 250 private vocational institutes that are mainly operated by NGOs and Churches. The courses covered under these institutions include theory, practical, and basic vocational training. Representatives of government officials and workers formulated a three-party National Manpower Board in 1967 for planning effective development and application of manpower according to the requirement of national development. The Board did a comprehensive study of manpower requirements of the country along with existing infrastructure for vocational training and decided that they needed help from the UNDP/SF- UN Development Program Special Fund for establishment of a program for national vocational training. The first stage of the project took four years and was approved in 1968. After the financial assistance from the UN a parliamentary act was passed for the establishment of the Institute for National Vocational Training. The Institute runs a total of 34 vocational institutions present all over the country and is currently training students in around 28 skill areas. The aim of the institution is to provide best systems for development of vocational training in Ghana and enhance the capacity of revenue generation. For further information students can visit their official website at- http://www.nvtighana.org/trainingProgrammes.aspx or http://www.nvtighana.org/Home.aspx. Is there a course you can train for 6 months? I’d like to know more, for example how institutution can charter to be called say “Chartered Institute of ……”. Are the chartered institutions also under vocational trainingschools?